While analyzing project stability, it is important to come up with impact of a risk event quantitatively and determine which risk causes more damage (or benefit) to the project. Sensitivity charts are used to visualize impacts (best and worst outcome values) of different uncertain variables over their individual ranges. The sensitive variable is modeled as uncertain value while all other variables are held at baseline values (stable). Tornado diagram is a variance of the sensitivity charts where the variable with highest impact kept at the top of the chart followed by other variables in descending impact order which represents a Tornado. Tornado diagram is applicable to wide range of project domains – Financial, Constructions, Software, Sales, Services, etc. 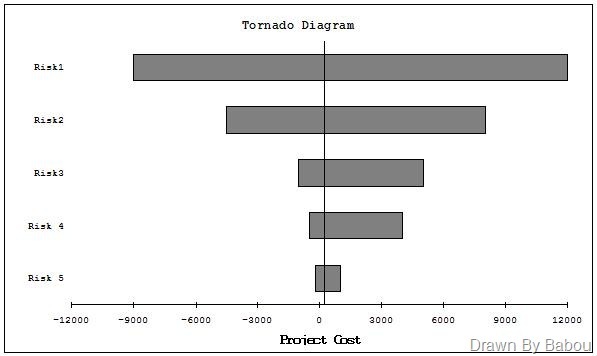 Tornado diagram can be used for analyzing sensitivity in other project constraint (cost, time, quality and risk) objectives also. 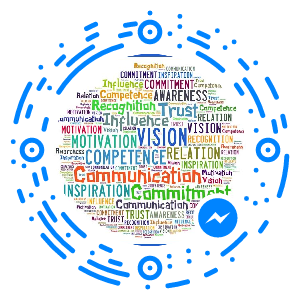 This entry was posted in Project Management, Risk Management, Tools and Techniques and tagged Project Management, Risk Management, Tools and Techniques. Bookmark the permalink. but why is the centre not on 0? Hi Richard, I tried to show all of them having benefits higher than damages – that why the center is not on 0. So the breadth represents the uncertainty from a negative to a positive value? The portion on the left represents a negative cost impact if the event occurs and the portion on the right represents the positive value of the risk? Breadth (X-axis) can be any project objective output like Cost, Schedule, which depicts the impact. Variable inputs, on which the sensitivity needs to be measured, are stacked in increasing order of magnitude (in Y-axis).